I set i3wm to have more functions and I need that to get a better user experience. I need a launcher, notification, bar, and the icons that are simple and can be customized. When I open the app, I organize them into different workspaces and sort the apps that are related to each other. 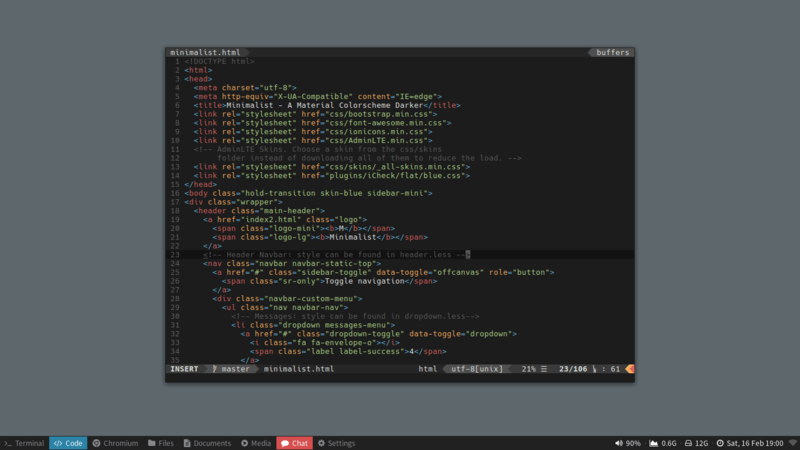 Most i3wm users set their first Workspace is for Terminal. It makes it easy for i3 users because most of them often use Terminal for the first time entering the window manager. I put Editor and IDE in the second Workspace because it is close to Terminal and easy to switch. Workspace 3 is for Browser, related to Workspace 1 and 2 when I do coding. File Manager is my 4th priority to Workspace 4, because this apps is often used following previous workspaces. I love writing things, so I put them here. This is for media like music and video. I use Workspace 6 because the word of Music. This Workspace is for stuff like GIMP, Inkscape, etc. I put it in the middle of workspace and because I rarely used it. This is a somewhat far away workspace and most of the workspace around here is bored, so I send it here to make a noise. This Workspace is may be for an important or slightly important or unimportant apps that I don’t know where to put it. This workspace is for controlling my OS, such as Desktop Preferences, Default Applications, Keyboard and Mouse, Monitor Settings, Power Manager, and more. A flexible scheduler for your i3bar blocks. A neat screen locker for i3. 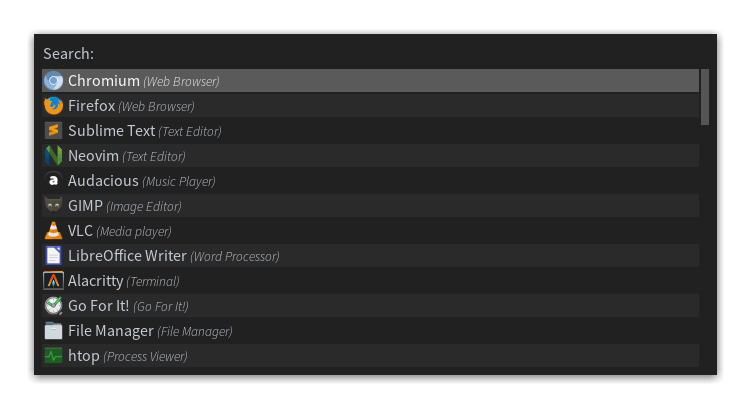 An application launcher and dmenu replacement. A highly configurable and lightweight notification daemon. To give a shadow effect and smooth appearance. A cross-platform, GPU-accelerated terminal emulator. A shell and community-driven framework that designed for interactive use and managing my Zsh configuration. All of these configurations can be found in dikiaap/dotfiles on GitHub. If you need more inspiration for customization, you can visit /r/unixporn on Reddit. The content for this site is CC BY-SA 4.0. The code for this site is MIT.